Shangilias plot is big enough to grow vegetables. 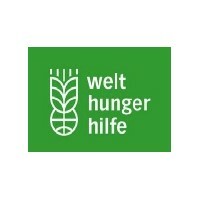 With the financial support of Welthungerhilfe, a greenhouse, an irrigation system and a vegetable garden were laid out. There is also a fish pond, a chicken house and several goats on the premises. In the greenhouse we grow tomatoes and other vegetables like spinach and succuma as well as coriander. The garden thrives under the good care of the children, who help diligently and also learn theoretically, what is to be observed in a private garden. The first crop was so rich that it completely covered our own needs for tomatoes. Some we could even sell to other facilities. The own garden is another example of the fact that we are striving to provide a solid foundation for Shangilia. Self-sufficiency not only leads to a reduction in the cost of food. The children also eat healthier. And for the first time, Shangilia generates its own income, albeit only minimally.